Cabinet Use 8-10mm thick white porcelain imported PP plate making,excellent corrosion resistance, the seamless welding test is complete, ensure the firmness and sealing. Integration Points Cover Use porcelain white PP board into the cone shrinking Integration Points Cover. Door of Cabinet Use 8-10mm white porcelain imported PP plate making, hinge, door handles, screws and other accessories are all PP materials,effectively prevent local from corrosion. 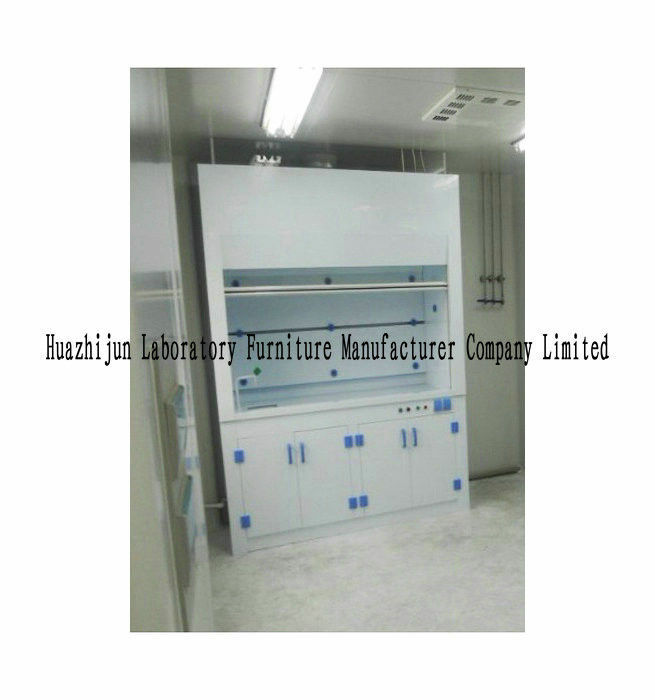 The door design ventilation shutters, can effectively promote the air flow in the cabinet. The top of Cabinet The design has 6 "vent, which can be connected with the main ventilation pipeline. Window 5mm thickness transparent PVC borad. Worktop Use 8-10mm thickness white porcelain imported PP plate making,designed to double the catchment structure. 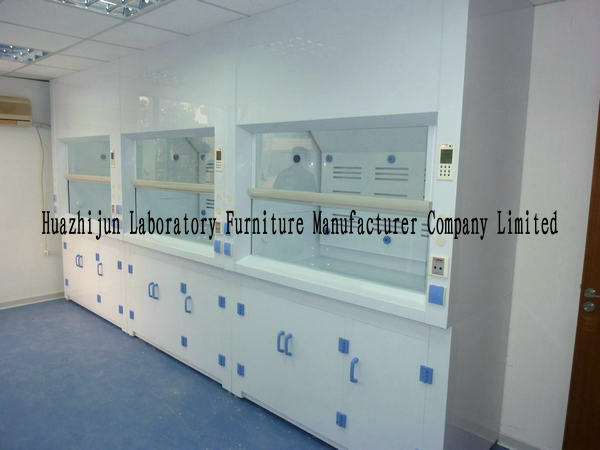 Physicochemical board and Wilsonart ceramic table,epoxy resin table or solid core can be optional. Lighting Full cover type fluorescent lamp 120/150 type 30WX1180 type 40WX1. Power Sockets AC220V, 10A4 only, the total power switch and standby switch each one. Control System The control power supply, fan, air adjusting valve, lighting etc.